This week we began a new series called “Re-Up”, this is a call to re-enlist, to recommit to personal spiritual disciplines, gathering together and being a church on mission. The summer break has a way of breaking our good routines and disrupting our spiritual growth. We begin with the Bible, which is a perfect place to start in getting back to personal spiritual disciplines and growing in our knowledge and the call of God on our lives. In John 17 Jesus asked the Father that He would “Sanctify them in the truth; your word is truth.” Jesus prayed that believers would be transformed as they are exposed to the truth that is God’s Word. God’s Word is the truth that re-creates us, refines us and makes us more like Jesus. The Bible is no ordinary book, it is the Word of God. We need to get a fresh perspective of the value and the immense importance of this book in our lives. In 2 Timothy 3:16, Paul writes that, “all scripture is God breathed…” we believe that all scripture, all 66 books written by multiple authors over thousands of years, is fully inspired by the Holy Spirit. The apostle John began his Gospel in a very different way to the other gospels, he went back to the beginning of time on the earth, echoing Genesis 1:1. Jesus is the pre-existent God who spoke creation into existence. 2 The Word was with God. The Word has always been in a relationship with God the Father. Christ did not at some point in time come into existence or begin a relationship with the Father. In eternity past the Father (God) and the Son (the Word) and the Holy Spirit, have always been in a loving communion with each other. verse 2 clarifies this point, “He was in the beginning with God.” Jesus was always God. 3 The Word was God. The Word, who became flesh and dwelt among us, Jesus Christ, was and is God. Jesus Christ was with God, and he is God, he is the image of God. There is one divine essence and three persons in the trinity. 4 All things were made through him. Why is there something rather than nothing? That is the great question in philosophy. The answer is God, He is eternal, and He is the Creator of all things. And the Word was the Father’s agent, or Word, in the creation of all things. God, the Word, created the world. Your Savior, your Lord, your friend, this same Jesus is your Maker. 5 In him was life, and the life was the light of men. Not only is Jesus the life, he is also the light. In John 8, Jesus declares himself the “light of the World”. 6 The light shines in the darkness, and the darkness has not overcome it. Light dispels darkness, Jesus exposes darkness and in his presence, all evil must retreat. Jesus coming to the earth was God turning on the light switch and exposing and defeating the darkness of sin. The light shines, it has not gone out it is still shining through his church, we are the ambassadors of Christ to go into dark places and turn on the light. The entire Bible is the revelation of Jesus to us, the Old Testament points to him, the Gospels reveal his life and the rest of the New Testament point back to the cross and reveal the church, the Body of Christ and then in the Revelation, we read about this same Jesus who will come again as the warrior king. All scripture points us to Jesus. With all that we have been given, how can we call ourselves followers of Jesus, and not have a passion for his word?” Why do we struggle to spend time reading and meditating on the Word of God? We need to rekindle a love for the Word of God. It is no ordinary collection of pages and ink, it is supernatural in its authoring, it is supernatural in its reading and it is supernatural in its application. The word of God does not change, the truth of God’s word does not change, it is our plumb-line and our authority for business, for parenting, for marriage and all other aspects of life. But, we like to redefine truth to fit our own personal preferences or desires. Let us be careful not to ignore or discard selected truths, just because we find them hard to receive or difficult to understand. And above all, we must be careful not to become lazy or apathetic with the truth of God’s word because it is not socially acceptable or because the cost of defending or standing on the truth becomes too demanding. This world we live in is vehemently opposed to the truth of the Word of God. We desperately need time away from the business and steward our time reading and meditating on God’s word. As you read the Bible, you will encounter Jesus, the Word of God and the Holy Spirit will reveal his glory and majesty to you. Have you read the Word of God today? Do you need a miracle? Any area of your life that needs a touch from God. In John’s Gospel chapter 20, John records for us how Jesus rose from the dead, and revealed himself first to Mary, then the Disciples, and finally to Thomas. This revelation of the risen Messiah was foundational to the early church and it is the truth and the power of the resurrection of Jesus which is the essence of our faith. When Jesus appeared to the disciples and to Thomas, the first words he says are,” peace be with you”. More than calming the disciples, whenever Jesus enters a situation he brings peace. We as followers of Christ and his ambassadors bring the presence of the risen Lord into everyday situations. Remember that as you go about your daily life. Jesus goes on to commission them for the ministry and he breathes over them as a promise of the Holy Spirit which was to be given them at Pentecost. That is all John records for us, and it is enough, Thomas saw the risen Lord Jesus and became a believer. The confession My Lord and my God in verse 28 is remarkable for its theological grasp. Thomas saw the risen Lord and in five words stated that Jesus was the Messiah, fully God and fully man. Thomas gets a bad reputation as the one who doubted, but the truth is that Thomas is you and me. So how do we who have never seen believe? The Bible is primarily how God has revealed himself to us, Jesus is the Word made flesh, and the Bible is the Word pointing us to Jesus from cover to cover. As we read it, the Holy Spirit reveals truth to us, brings conviction, encouragement, guidance and so much more. If you struggle with foundational faith, believing that Jesus is the risen Lord, read the Word of God. It is not just a religious duty as a Christian, it is the life blood of your Christian walk. It is impossible to life a lifestyle of faith without daily being fed by reading the Word of God, you might get by, but you will never reach the full potential of all that God has in store for you. 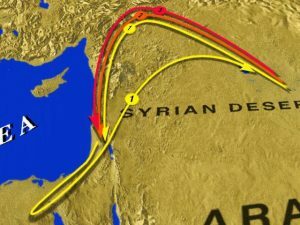 Thomas had faith because he saw the risen Lord, it transformed his life and he probably travelled further than any of the other apostles, and he was eventually martyred in India. Thomas the doubter became a man of extraordinary faith, because he saw the risen Lord. Anyone who truly encounters Jesus, the risen Lord, will have faith in Him. Many people will state, “I believe in God”, and this in itself is not wrong. One of my favorite verses Hebrews 11:6. Do you want to please God? Live a lifestyle of faith, but for faith to grow in us, we need to start with believing that He exists. But sadly today, many people believe in God, but do not believe in the Gospel. There are teachers today who claim to believe in the God who created all things, the God of Abraham, Isaac and Jacob, but they are teaching that Jesus didn’t need to come to earth and be our atoning sacrifice. Please beware of any teacher who does not believe in salvation through Jesus Christ alone (read John 14:6). In light of this, what if we changed our language, when people asked us if we believe in God, we would say, “I believe in Jesus Christ the risen Lord”. That statement will clearly define what you stand for. If you respond in that way, people will either agree with you or reject you. The revelation of the risen Lord, transformed Thomas’ life and the foundation of our faith is in the power that raised Jesus from the dead and the fact that he is interceding for us (read Romans 8:34). An encounter with the resurrected Lord will change your life, it will enable you to abandon all and pursue a lifestyle of faith. As I think about our church, I am thrilled to see so many people who have abandoned all to follow Jesus and God’s plan for their lives. What a joy to be surrounded by people who truly believe in the resurrected Lord. True faith is demonstrated in obedience. The title of Hebrews chapter 11 in the NIV translation is, “Faith in Action”. Hebrews 11, is a record of Biblical heroes who obeyed God and trusted him in faith for the outcome. James 2:14 encourages us to do likewise and step out in faith in our lives, faith in the resurrected Lord Jesus Christ. How is God asking you to step out in faith today? As Christian we can speak with authority, the authority we have comes from the word of God. When we speak our own words of wisdom, people can reject us, however, when we speak the word of God, we are referring to a much higher authority, one that we don’t have to try and defend. 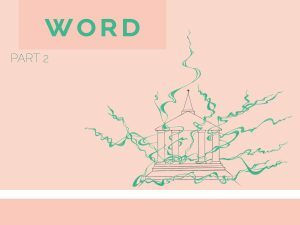 Do you know how to use the authority of the word of God? In Jeremiah 1:9, we read that God touched Jeremiah’s mouth and gave him the message, God summarizes the message in verse 10. Notice the first words, “today I appoint you”. 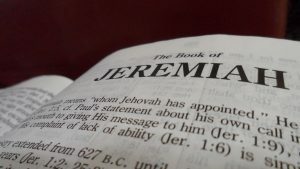 God gave Jeremiah authority over nations and kingdoms by the power of the word of God. Jeremiah’s message was to be one of both judgment and blessing. The uprooting and tearing down was the coming judgment, but the metaphor of planting and building was a sign of God’s blessing to come after the judgment. Then God gives Jeremiah 2 visions. The first is a vision of an almond branch. The Hebrew word for Almond tree sounds very similar to the word for watching. The symbolism of the Almond tree is that it is watchful, God is not slow in responding in judgment, the time is coming sooner than expected, and in verse 12 God confirms this vision and explains that He is watching the nation of Judah. The theme of God watching his people flows through the book of Jeremiah. This message to humanity is still the same today: God is watching! He will watch over the fulfilment of His word. When sin and immorality engulf nations and even penetrate the Church, we should remember, God is watching! The second vision is of a boiling pot, shows that the message would be one of judgment at the hands of a people from the north. Ultimately this was the armies of Nebuchadnezzar of Babylon coming to lay siege to Jerusalem. The sin for which the people would be judged was the fundamental one of breaking the covenant with the Lord, by the rejection of him in favor of other gods (as we see in v16), and it continued to be a constant theme in the book. 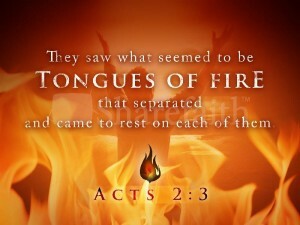 God put His words into the prophet’s mouth and those words were effective to accomplish His will. God not only gave Jeremiah His words, but He also promised to “watch over” those words until they were fulfilled (Jer. 1:12). Prophecy is not necessarily foretelling the future, rather it is to declare the words of God, to declare the truth, in that sense, the act of preaching the word of God is an act of prophecy. Just like it was in Jeremiah’s day, so it is now, that the declaration of the word of God was not well received. There were prophets in Jerusalem during Jeremiah’s time, those who spoke only words of blessing and wellbeing to the people. These prophets were well liked and had an adoring following, and the Kings who rejected God’s law loved to hear from these prophets. Today as preachers, we have the same challenge. Paul the apostle knew this and wrote the following in his second letter to Timothy in 2 Timothy 4:3. Today, there are false teachers, those who twist the word of God for their own benefit. Stretching individual verses out of context with the primary goal of deceiving their hearers into parting with their money. If you don’t know the Word of God, you too will be deceived in these days as Jesus said in Matthew 24:11. We need to pray for wisdom and discernment as we read the word of God in order to stand firm in the calling that God has on our lives. In verse 17, God speaks to Jeremiah and tells him to get ready, to brace himself for the challenge that lay ahead. When Jesus sent out the disciples in Matthew 10, he issued a similar warning (read Matthew 10:16-20). Both Jeremiah and the disciples were told that they were going to speak the very words of God, they didn’t have to figure out what would be the best thing to say, they could simply stand firm on the words of God. And this is the key, standing on the authority of the word of God. The church needs to be the prophetic voice in our culture. Not simply a voice known for what we oppose, but a voice that declares the truth in love and offers alternatives that bring life. What does the Bible have to say about the issues that we wrestle with in our culture, issues such as racism, broken homes, homosexuality, money, abortion and homelessness to name just a few. Take the abortion debate as an example, the fact that there is any debate whatsoever is a sign of how far we have slipped as a culture, the Bible is clear that we are created in the image of God and it is wrong to take another human life, but as the church, the prophetic voice in our culture, what alternatives are we offering? Are we offering to take the children and raise them up? God knew Jeremiah and God knows us too, He knows that our natural inclination is to be afraid of what others might be thinking. But the fear of God is the best antidote against the fear of man. Let us always be afraid of offending God first (see Proverbs 1:7). Remember you and God are a majority, even if everyone else opposes you, as they opposed Jeremiah, as you follow God’s leading in your life, you are in the majority. But in order to be the prophetic voice in our culture, we need to know the word of God. There is no substitute for living the Christian life in our culture, other than to spend time daily reading the Word of God, allowing God to speak to you. The truth is that the Bible is not always popular, and as followers of Jesus Christ if we obey the Word of God we will be in the minority in our culture. Here in America, we need to come to terms with the fact that this world is not our home, we are living for our eternal home and as time moves closer to Jesus coming again, we are going to experience more persecution for believing the Bible. No matter who wins the election next month, we need to understand the season we are living in, and it is not one that promises wealth and prosperity to Christians. The writer of Psalm 119 was living in similar times. In the 176 verses of this Psalm there are 27 references to persecutors or an enemy who were making life difficult for the Psalmist. But the attacks on the Psalmist seem to get worse, as we see mocking and slander in verses 51 and 69 leading to violence and fear of death in verses 87 and 95. The Psalmist is in real danger of physical harm and even death. The first section starts with that well known verse; “Your word is a lamp for my feet, a light on my path.” The Psalmist was referencing a small flickering olive oil lamp, which was only bright enough to light the way for a traveler to see a few steps ahead. As Christians, we look at God’s word as a lamp that gives us light for the next few steps, we are called to walk in faith that the next steps and the months and years ahead are in God’s hands. The Psalmist continues in v106 stating that he took an oath to follow the righteous laws of God, he was willing to give his life to this. But not only that, he confirmed it, he followed through and did what he promised to do. It doesn’t help to make a commitment and then sit back and do nothing, we cannot simply drift into holiness, we cannot become more like Jesus in our personal lives without intentional effort. The second section of the stanza begins with a harsh line that stands out; “I have suffered much”, but the suffering and danger is not over, he goes on to cry out to God to; “preserve my life” how? “According to your Word” According to the promises in God’s word. In the midst of trials and our darkest seasons, we can go back time and time again to the promises of God’s word. There are over 2000 promises in God’s word, these promises are our hope and strength in difficult times. In the midst of suffering and persecution the Psalmist praises God (v108). He praises God for the many good things he has learnt from the Word of God and he goes on to ask God for more teaching of the word because in it he knows that he has life, the priceless treasure of God’s word. Continuing to verse 109; the author uses the expression; “I constantly take my life in my hands”. This is similar to what Job experienced in Job 13:14; “Why do I put myself in jeopardy and take my life in my hands?” or when Jonathan defending David before his father King Saul in 1 Samuel 19, said that David took his life in his own hands when he killed Goliath. We don’t know who the Psalmist’s enemies were, but it is evident that he was in mortal danger and his enemies had set a trap for him. In the face of such opposition he stands firm and declares “I have not strayed from your precepts”. Even in the face of death, he will keep his oath to following the word of God. Much the same as so many people around the word today who face death for believing that Jesus Christ is Lord. Open Doors has released its annual list of countries where Christians face the greatest persecution and found that it has reached unprecedented levels worldwide. Over 7,000 Christians were killed for their faith between Nov. 1, 2014, and Oct. 31, 2015. There are millions of Christians in the world today, who face persecution and death simply for believing this book. Looking to verses 111 and 112, we see the Psalmist gaining an eternal perspective, he looked beyond the trials and challenges he was facing and looked to his eternal destiny, the reason why he could stand firm. The author knew and acknowledged that the Word of God was his heritage forever. in the midst of his challenges and threats, his heart was glad, he experienced joy in his heart, a real deep-seated joy that is found in knowing the presence of God. The author of this Psalm made a commitment to follow the Word of God, even when times got tough and his very life was threatened, he still stayed true to his commitment that he made. The word of God was his foundation, it was his security and it was his joy. The Word of God is relevant and has the answers for your situation today. Where are you turning for help? In order to apply the promises of the word of God, we need to know the Bible. In 2016 we need a firm foundation for our lives and our families, there is no better foundation than the Word of God. 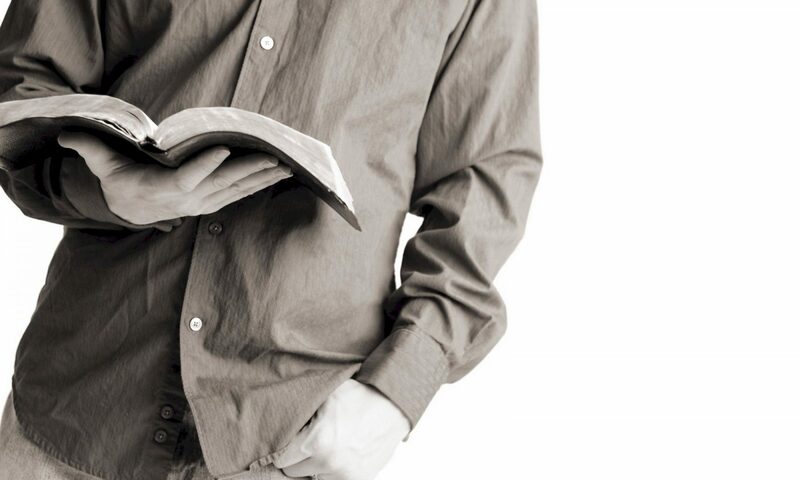 As Christians we often hear about the importance of setting time aside to read the Bible. This is not simply a religious observance or tradition, the daily reading the Word of God is absolutely critical in our lives, especially in the 21st century. Roy Peterson, president and CEO of American Bible Society. Psalm 119, is the longest chapter in the Bible and one of the most outstanding features of Psalm 119, is that it uses ten different terms for the Word of God in almost every verse. In fact, all but 5 verses mention the Word of God in some way. It is believed that this Psalm was anonymously written around the time of Nehemiah and Ezra, when the Israelites were coming back out of captivity and Ezra the Priest led a revival as people once again heard the Word of God after decades of not being taught the scriptures (see Nehemiah 8:5 and 6). Nehemiah records that as Ezra read the scriptures for almost 6 hours, the people were shaken and wept upon hearing the Word of God. Can you imagine that? How I wish we would regain just some of the sense of awe and respect for the Word of God. In the second stanza of Psalm 119 and verse 9, the Psalmist poses the question; “how can a young person stay on the path of purity?” This is a verse that we often give to young teenagers in order to encourage them to read and study the Bible. But the reality is that this is a truth that applies to all of us. One of the most basic needs of sinful man is the need to walk in the pathway of purity. The answer given by the Psalmist is seemingly straightforward and simple; “By living according to your word”. The Psalmist knew that the way to a life of purity is found when the heart and mind are filled with the powerful word of God. The outward life comes from our inner thoughts and desires. We see the outward manifestation of the inward problem. The solution is not outward, but rather inward. The solution to the problem of sin is reading, meditating and memorizing the Word of God. The Psalmist sees the problem, identifies the solution, but then realizes that he needs help. 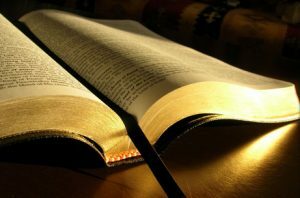 You see if the Bible was simply another self-help manual, then we could read it without any outside help and gain wisdom and understanding from it. But the Bible is like no other book. As a born again believer, you have the Holy Spirit within you and he reveals truths of scripture to you. The Psalmist understood he could not master the word of God without supernatural help. And so in verse 12 he cries out; “teach me your decrees”. And finally; in verses 14-16 we see the fruit of meditating and allowing the Word of God to permeate his life. He rejoices in verse 14 and delights in verse 16. These are not the emotions of someone who is trying his or her utmost to follow a set of rules and regulations. When the Word of God is in your heart, it comes out as an expression of joy and delight. There is a peace that comes from allowing the Word of God to permeate and infiltrate every aspect of your life. We live busy and stressful lives, we desperately need time to pull away from the busyness and useless information and steward our time reading and meditating on God’s word. The result will be the same as the Psalmist – we will rejoice as we allow the Holy Spirit to speak to us through the Bible and we will delight in the truths of God’s word. This Bible contains your Heavenly Father’s love letter to you, He wrote it for you. It is your daily bread, your sword of the spirit and the truth that gives light to your path. Love this book, treasure this book, it is no ordinary collection of pages and ink. As we apply the words of truth to our lives, we will see supernatural transformation taking place. Your ability to overcome temptation and to live a victorious Christian life, is directly proportional to the time you spend reading God’s word. In Paul’s letter to the Ephesian church, and chapter 6, he writes about the armor of God that every Christian must put on. The only offensive weapon is the sword of the Spirit, which is the Word of God. We need to know how to use this weapon effectively or else we will always be weak and ineffective as Christians (see Hebrews 4:12). 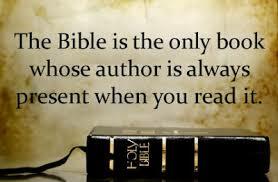 The Bible is no ordinary book, and we don’t simply pick it up like we would a novel or a textbook. When you open the Bible, you must come with expectation that what you are going to read has the ability to transform you. God commands us to humble ourselves by judging our thoughts and motives by the standards of the Bible. We acknowledge that as Christians we need to submit ourselves to the authority of the Word of God. One of the most alarming problems in the church today is the lack of Biblical literacy. Not just having access to the Bible, but studying it and bringing our lives under the authority of the Bible. The Bible is the infallible word of God, we need to acknowledge the standards of the Bible for our lives, even when the Supreme Court and others lower the standards. But what does it mean to tremble at God’s word? It does not mean to physically tremble when we read the Bible. It means that when we read the Bible we allow the Holy Spirit to let the words penetrate into our lives, so that we feel the vibrations of conviction when the Word of God reveals to us an area of our lives that falls short of God’s standard. Pride is the primary reason why we wait for revival. The 4th Century theologians came up with a list of 7 deadly sins, pride is the first. So if pride is the biggest hindrance to revival, what do we do about it? 2 Chronicles 7:14 says we have to humble ourselves. We have to do our part and let God do his part. We submit ourselves to the sharp sword of the Bible and allow the Holy Spirit to convict us of sin (see Hebrews 4:12). As we read God’s Word we are forced to take an honest look at ourselves and determine how much pride we have. Pride in our self-sufficiency, is quickly melted away when we realize that we have nothing without the saving grace of Jesus Christ. The Welsh revivalists used to sing a song that goes; “Bend me lower, bend me lower, bend me lower, lower down at Jesus’ feet” They understood the need for humility and recognizing our dependence on the Gospel message. 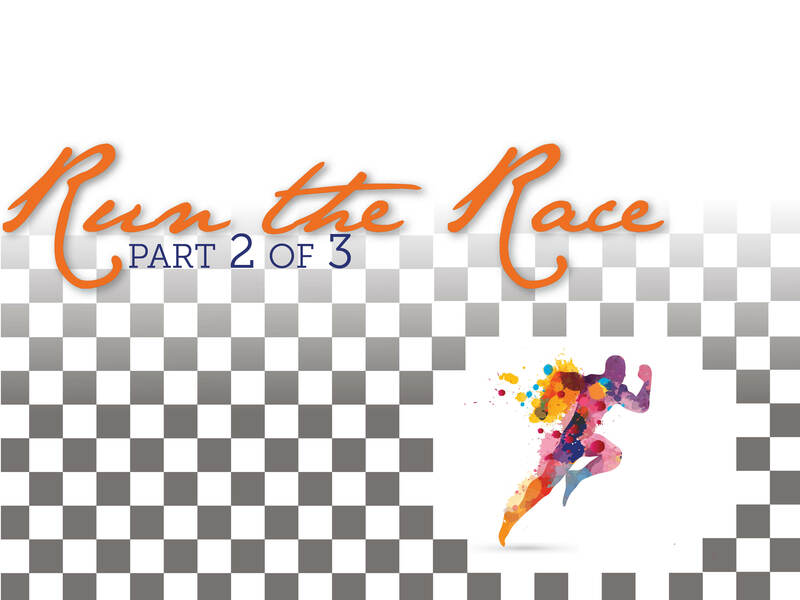 Using the analogy of a race, a marathon, there is so much that we can look at that applies to the Christian life. We are called to a new life, a life that is led by the spirit, Paul says is that we need to be led by the Spirit of God, as we run the race that God has for us. Now human nature is that we make rules, and when we disciple new believers, we inadvertently make rules for them to follow, because of the mistakes we made when we were in their position. Sometimes these guidelines can be made to look like laws. Romans 8:2 says; “For the law of the Spirit of life in Christ Jesus has set you free from the law of sin and of death”. When we run the race that is the Christian life, we do things differently, we are not under the law that leads to condemnation and death, but we are led by the Spirit which leads to life and peace. Our disciplines and our training for the race are not governed by law, but they are governed by the Spirit and this brings life. Verse 11 tells us that the same Spirit of God that raised Jesus from the dead lives in you and me! Our old way of viewing time, money, family, possessions all changes, and we see things from the perspective of heaven. And then there is the unbelievable promise in God’s word in verse 14, we are called the children of God! I know our minds cannot grasp that, we have no idea what it means to be adopted into the family of God. We are called children of the creator of the universe. And verse 17 says that as a result of our adoption as God’s children, we receive an inheritance. We have an inheritance simply because we believed that Jesus died for our sins. He did it all, we die to our old way of life and begin to live by the Spirit, and we get to receive an inheritance from God. Suffering and discipline are a part of the Christian race, but we must not shy away from them, they are building us and growing us to be more like Christ. This Bible is contains your heavenly Father’s love letter to you– it is your daily bread – it is your sword of the spirit – it is the truth that gives light to your path. It is no ordinary collection of pages and ink. It is supernatural in its authoring, it is supernatural in its reading and it is supernatural in its application (2 Timothy 3:16-17). If you are led by the Spirit, you will need the sword of the spirit. 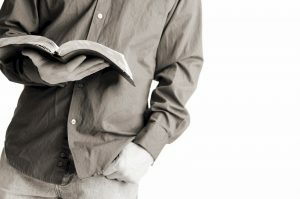 Do we daily discipline ourselves to read, study, meditate on the word of God? 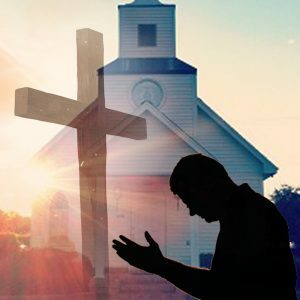 Prayer is a discipline, it is hard work, when we don’t discipline ourselves to spend time alone with God we limp along in the Christian race, missing out on so much that God has for us. Discipline yourself to pray, it will transform your life and the race God has called you to. Tithing is something we seldom view as a discipline, but the way we handle our finances is either worship or it is idolatry. Either God is more important than your money, or your money is more important than God in your life. We don’t tithe because God needs our money, he already has all things. No, we tithe because it is worship. Tithing is an act of worship, because many times we look at our income and our expenses and wonder how we can afford to give 1/10 of our income to the Lords work. Well if the Bible is correct, and we know it is, how can we afford not to give to the Lord, knowing that he is our provider and that he will take care of all of our needs (see 2 Corinthians 9: 6-8). You will have all you need to do the will of God for your life. Evangelism is a spiritual discipline that we are all called to participate in. Evangelism that is led by the Spirit is a joy and a blessing, but we make it out to be a fearful chore. Evangelism that is fruitful and effective is evangelism that is led by the Holy Spirit. Daily discipline ourselves to pray: “Lord bring someone into my path today who needs a touch from heaven, let me be used by you, almighty God, to bring a miracle to someone’s life” That is the discipline, being available, daily being led by the Spirit to look for the person that God wants to touch through your life story (see 2 Peter 3:15). Notice two aspects in this verse: firstly – it starts with “revere Christ as Lord”. If Jesus Christ is truly Lord of your life, it will be evident to those around you and your life will be a testimony for Jesus. Secondly: “always be prepared to explain the reason for your hope” – because, if you are living by the Spirit, people are going to want to know why you are different. Remember not everyone is gifted as an evangelist, but we are all called the spiritual discipline of sharing the story that God has given us and the reason for our hope. Remember that the Christian life is a race, it is not a stroll or a wandering along the pathway, there is a very definite end goal. And to keep us running diligently we need to develop Spiritual disciplines, Prayer, Reading God’s Word, Tithing and Evangelism are just a few of them. But why do we do them? Because they are good for us? Or because we become more fruitful and lead others to Christ? Yes, but there is a greater reason. We develop Christian disciplines, because our lives will bring Glory to God.